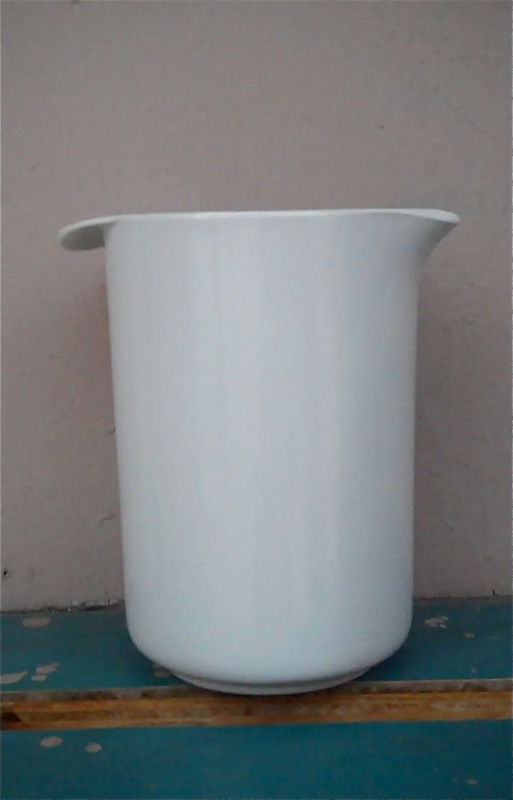 I was super excited when I spotted what I thought was an Erik Lehman-designed Rosti Denmark melamine pitcher at the Value Village last week. Alas when I flipped it over, it was signed Rostcan. Since it was only 99 cents, I bought it anyway. It is a complete knock off of the Rosti design, right down to the rubber gripper on the bottom. I’m always conflicted about buying imitations, but I rationalized that Rosti doesn’t make this design anymore, so it’s not like I’m putting them out of business. 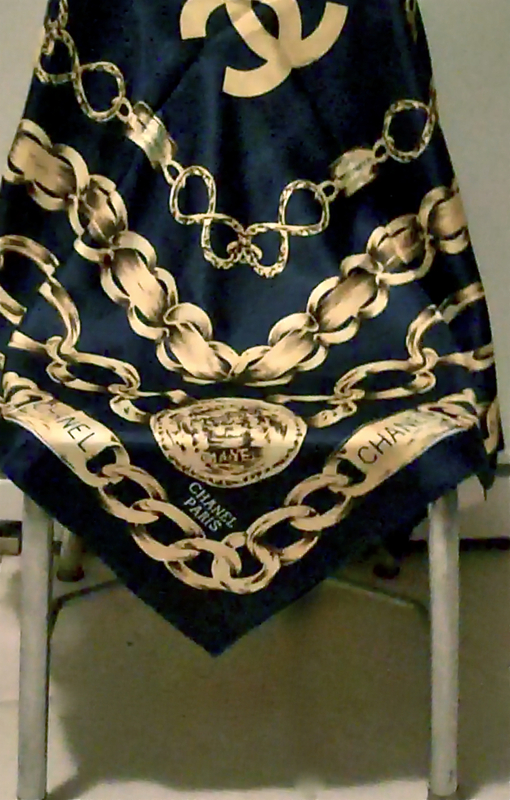 I also found this very good reproduction of a 1980s-era Chanel scarf. I am assuming it is a fake because the edges are not rolled and the fabric just doesn’t feel quite right. The rest of it is pretty spot on. I rationalized this purchase because…. I have no good rationalization.